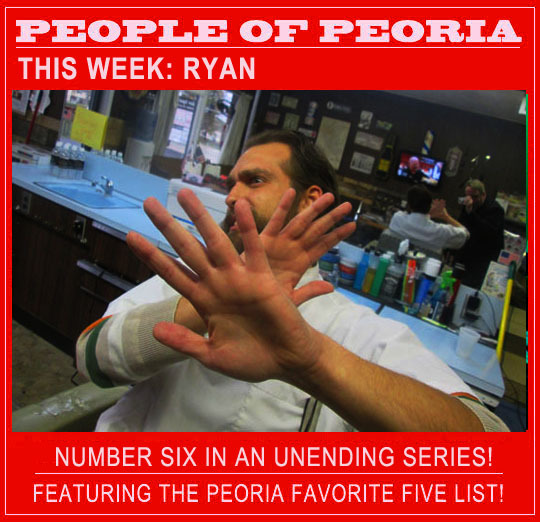 People Of Peoria: This Week—Ryan! Ryan Cullen has a classic, old-school barber shop here in Peoria and last January he shaved my beard off and we’ll be doing that again after the new year. I stopped by his shop yesterday to discuss that eventuality and then remembered that I had to get a photo of someone for this week’s MBIP People Of Peoria series. So I got a shot of Ryan and asked him the Peoria Favorite Five questions and you can see all of that below. See how this works? 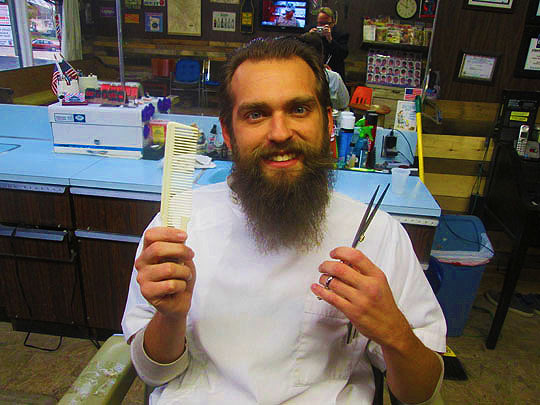 Here’s Ryan showing off a couple tools of his trade while sitting in one of his vintage barber chairs at his barber shop. Shave and a haircut, two bits! Okay, now let’s move along and find out Ryan’s answers to the Peoria Favorite Five questions! You see a lot of beards in your business, in your opinion, who has the best beard in Peoria? I think it’s Aaron McCall from CrossFit North Peoria. 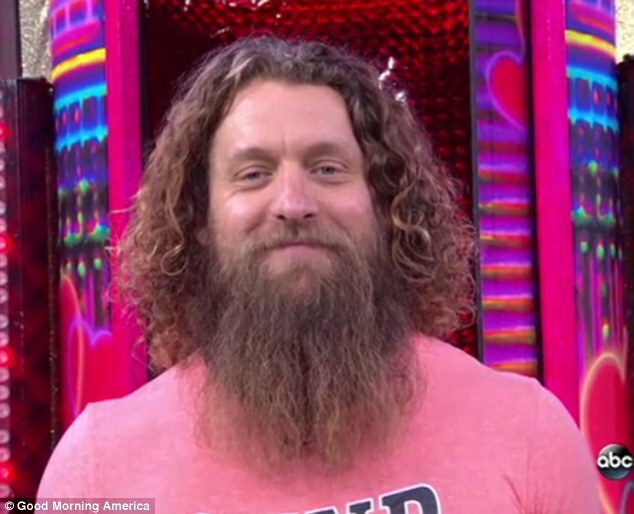 He actually got a makeover on Good Morning America a couple of years ago, but he’s grown the beard back again! Name a person from Peoria who has inspired you: I’ll go with Sam Kinison for his honesty and humor. Who’s your favorite Peoria person? That would be my grandfather, Gary Cullen. He was a Peoria Police Officer for over 30 years and he’s been an inspiration in my life and has been so supportive of everything I’ve done. What’s your favorite curse word? Dang-a-lang. I don’t curse very often! Who would you like to give a shout-out to? I’ll give it to Whiskey City Architectural Salvage! We’ve been very supportive of each other through the years. The Official People Of Peoria Shout-Out: Here’s to you Whiskey City Architectural Salvage, someone out there loves you! Two fucks, two shitballs, one stinkin’ and one dang-a-lang. 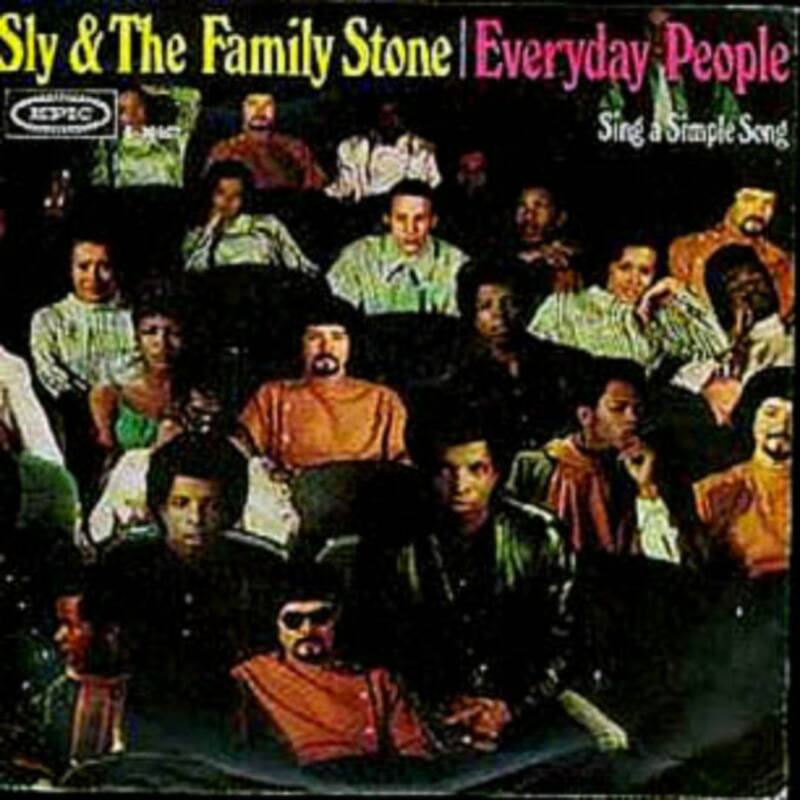 Arealle, Clay, Riley, Tim, Stephanie and Ryan. Amber and Joe for this classic Christmas presentation in their front yard! Rudolph is mad as hell and he’s not going to take it anymore! Ho, ho, ho! 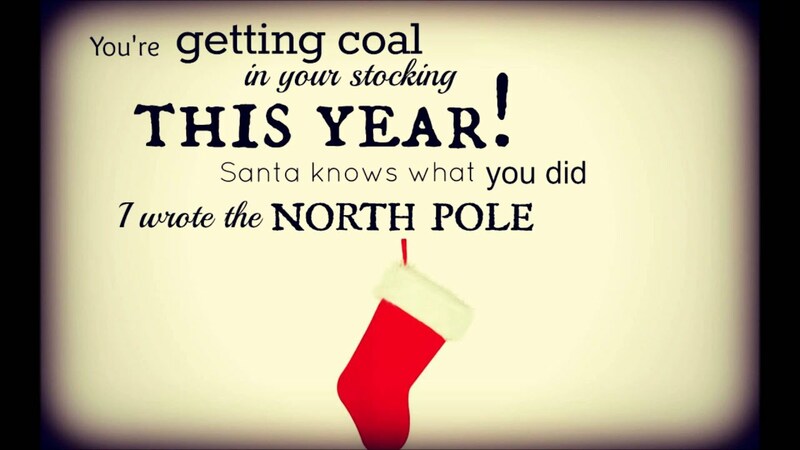 Nice work Amber and Joe and this guarantees you both a lifetime of coal in your stockings! 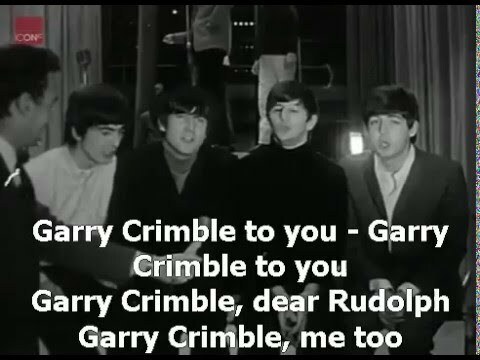 Garry Crimble dear Rudolph, Garry Crimble me too.